During the construction of a major building development in North West England television (TV) interference made the local news because the building started to block TV signals in a swathe of the city. As the building development got taller the number of homes affected increased and the adverse publicity grew with a lead story in the local newspaper. The construction of tall buildings can degrade TV reception due to obstruction or reflection of the signals. In order to quantify the potential effects, desk based modelling is undertaken to calculate the areas where the signal could be affected. Tall buildings can affect both terrestrial and satellite TV reception. Generally, for a specific building development, the area over which satellite TV reception is affected is much smaller than the area over which terrestrial TV reception is affected. Desktop modelling predicts coverage prior to construction of the development and coverage afterwards. Modelling can be undertaken for specific locations, or can be used to map potential interference effects in a specified area, which is usually adjacent to the development. A pre-construction TV reception survey collects TV signal strength measurements and TV picture quality records in the vicinity of the development before it is built. These records can then be used in future to verify any impacts actually caused by the building development. These records can also be used as evidence in situations where the building development is not the cause of interference. The results of a pre-construction survey in combination with a computed interference prediction enable a comprehensive understanding of potential future interference situations. The development was under construction when Pager Power was appointed. The development had already caused some significant and unexpected interference to terrestrial TV reception. There was negative publicity in the local press due to concerned neighbours who had lost TV reception. The first step was to identify the homes and businesses that may have been affected. This was done by assessing local news reports, plotting the addresses of individuals who had complained directly to the developer. The second step was to identify the TV transmitter used by residents in the vicinity of the building development. In some areas residents use a variety of transmitters, but in this case all residents appeared to be served by the same transmitter. 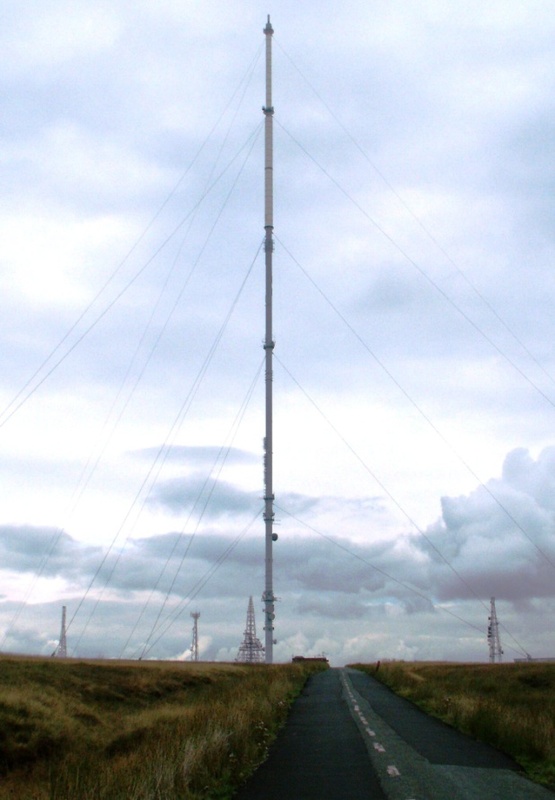 The image to the right shows the Winter Hill transmitter that provides digital terrestrial TV coverage in the area. The next step was to identify whether a line of sight existed from the transmitter to the building development, and hence to determine whether the building would cast a radio shadow in the region beyond. Detailed analysis was undertaken to determine where interference was expected to occur. The modelling identified a shadow zone in an urban area beyond the development. This zone was approximately 200 metres wide and 500 metres long. The chart to the right shows the predicted interference zone. Each square represents an area of 100 x 100 metres. A Post-construction (during construction in this case) TV Reception Survey was then undertaken. This involved taking signal strength measurements using Pager Power’s custom survey vehicle and digital TV analyser. 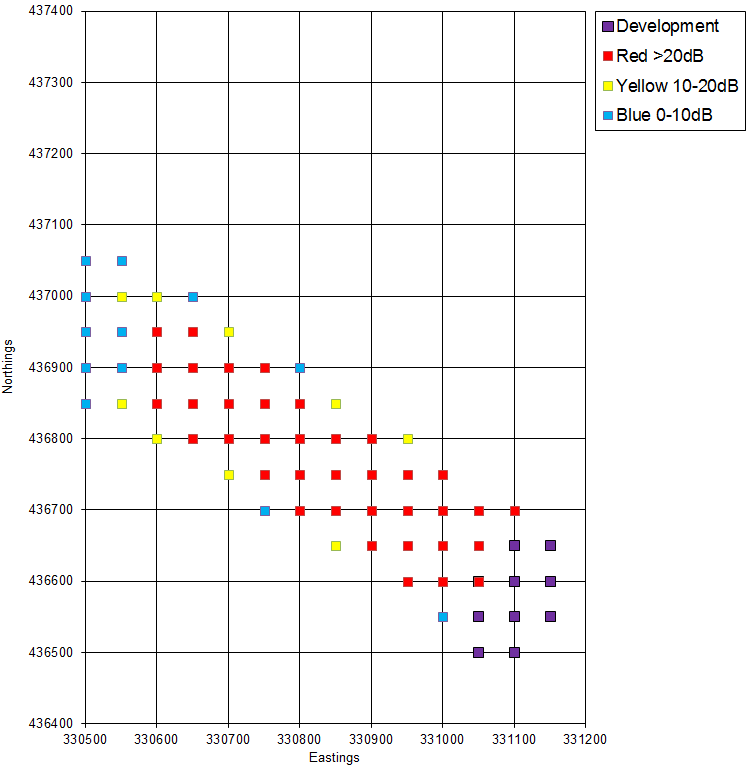 Results of the computed shadow area and the survey were combined to provide an accurate assessment of where the large building development did and did not impair TV reception. 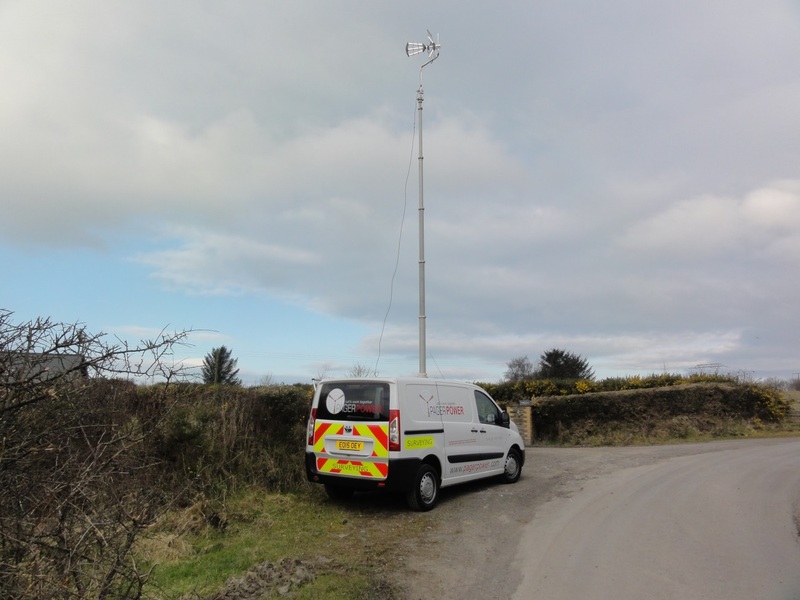 The photograph to the below shows Pager Power’s current survey vehicle with its telescopic mast extended. The majority of TV interference complaints were genuine and came from residents who were located in the predicted shadow zone. The interference issues were resolved using a number of mitigation techniques including raising the height of the external TV aerial. This work enabled the developer to be confident in the limited area where the building was causing interference and to manage complaints and publicity effectively going forwards.